The entire lives of people are spent searching for answers to questions that no living entity can give them in this life. The future is uncertain and unpredictable. People have tendency to look out for people who may provide them with answers to elusive questions. This is the primary reason that becomes the sole reason for mushrooming of psychics, clairvoyants and future tellers. There are very few people who have the gift of foreseeing the future and that too in unambiguous clarity. But the true ones are also humble and afraid to share their gift with the outside world. It can become a blessing as well as a curse depending upon whether the gift is used for manipulation or helping people. The ever burgeoning market of fake and manipulators can evidently rip one off their hard earned money. A psychic is not someone who can be imitated or faked. Sooner or later, the word gets out and the hard earned credibility is lost. 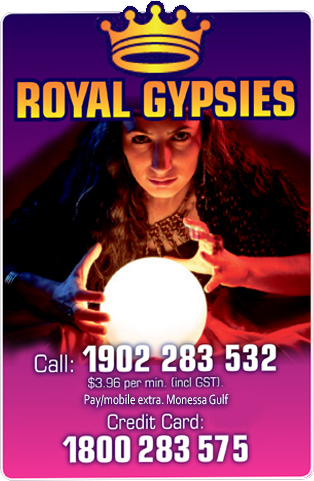 In Australia too there are no dearth of psychics and clairvoyants but you have to be extra careful before trusting one and end up by losing all your money. The safest way is to choose the one who is well known and reputable in different social circles. Number of visitors must not be confused with reputability and credibility. You will come across hundreds of fakes who may have very high number of visitors but their credibility score will be low and audience circle limited to the section of ignorant drunken people. The fake ones are also most of the time the cheapest one. The services that would normally cost you dollars with the real clairvoyants will only cost you dimes with the fake ones. It is essential to pick the true psychic before you pin your hopes on unrealistic and entirely improbable happenings in future. Most of the clairvoyants you come across, even if they are completely real, will give you with ambiguous and unclear details about your life and what the future holds for you. Luckily with Grace this is not an issue. Widely recognized as a gifted scholar, she is popular for providing you bluntly with all the details of your life. She is known for providing answers to questions expressively and in very clear terms. With other psychics, you will always find an element of uncertainty and speculation but not with Grace. When she says about a certain thing, she says it with a certainty and confidence that you won’t find in any other clairvoyant. 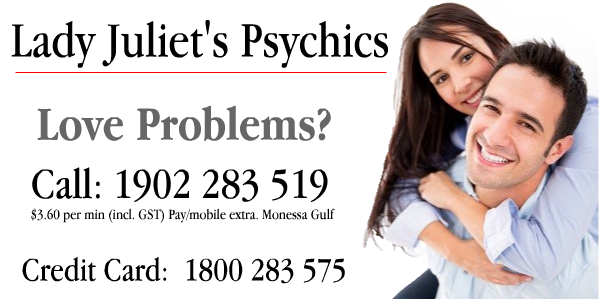 Highly reputable for providing accurate and credible descriptions of happenings in future, she is one clairvoyant who can provide answer to your every question whether it is related to failing marriage, depressed professional life, broken relationships and perennial difficulties. She has got answer to your every need and every unanswered question. A gifted and truly benevolent psychic, she is known for helping the wretched souls. She has been practising the art since a tender age when she accidentally stumbled upon it. Since then there is no looking back. Over the years, her ability has helped many distressed souls. Being a fourth generation psychic has also added up to her credibility and repute. Often those people who claim to be psychic with no such gifts previously found in his/her ancestors get very hard time in getting accepted by the society. In addition to being a truly wonderful and accurate clairvoyant, Grace is gifted to be a fourth generation psychic which in itself is a huge honour. Many psychics who have been passed down this trait from their lineage are awkward and unsure about their abilities. But not with Grace! The kind of absolute conviction and the confident aura she surrounds herself with result in multiple and regular visitation of clients. Life time clients often come to Grace whenever encountered with one life threatening situation after another. Grace is not only famous for giving answers to your most eager questions but she is a famous tarot reader too. The tarot card reading is then again a gifted ability that is harnessed and matured into an art. There are few who have the insight and the nuance ability to read these cards. Your future is laid thread bare with these cards. Often seen by people as chicanery, the true tarot card readers not only explain the cards for you but makes their understanding easier. Grace has been gifted with the trait to soothe fears and quench the questioning thirst of the desperate and desolates who come to her to know about their future, career, life, family and death. Death is an inevitable reality and there is no questioning the fact. But there are people who are curious and always apprehensive of the thought of death. They visit clairvoyants to inquire about this important incident of their life. Grace prides herself on providing the visitors with the most certain and clear expectations from their future. There are no jumbled words or riddles that you have to solve to know about turns your life will take in future. Yes, that is the clarity that can only be associated with the most credible psychics and Grace is one of them. To provide relief to more distressed souls, Grace has personally chosen the very best and gifted clairvoyants, fortune tellers and psychics who will not only provide real answers to your most probing question but reveal the hidden secrets of your life too. Understanding and compassionate, that is the hall mark of all Grace’s psychics. You won’t find them disrespectful or ignorant. Very respectful and mindful of your secrets and proclivities, they will provide you with the right direction and guidance to lead your life in future. Any distressing situation or factor in your life can be handled if you get the right direction and guidance to focus on the right elements. Imagine how soothing your life can become and how much trouble free! Grace psychics are the best team of psychic that will help you in connecting with your inner and redirect your life on the path towards happiness, joy and love.